Have you ever wanted to become an Enforcement Agent (Bailiff) and wondered what the process is to become a Certificated Enforcement Agent? Ever wanted to be part of a professional team? Want a job were no two days will ever be the same? 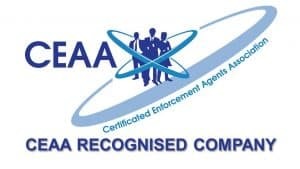 If you have answered yes to the questions above then please read on and we will explain the process to becoming a Certificated Enforcement Agent/Bailiff. You should book yourself on a training course like one run by IES Training across the country and obtain a Level 2 Certificate in Taking Control of Goods, or if you wish to get advanced training then we would recommend our Level 3 Taking Control of Goods this will show the Judge you have the basic knowledge of the law to be considered as a Certificated Enforcement Agent. If you are still interest then why note send us message below or view our training courses across the country.